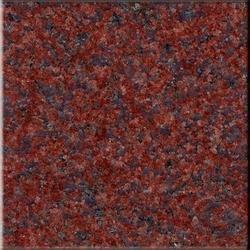 We are largest and biggest collection of red granite india. premium collection of blocks , slabs, tiles . Ruby Red Granite is designed using qualitative stone and then finely polished to attain eye- catching look and smooth texture. These are available in the market at an affordable price that comes with our prospects’ budgetary limitations. We offer these in various sizes and colours and are regarded for their elegant look and unique green colour. Used for flooring purposes, these are a significant part of our exquisite collection. Clients can avail from us superior quality Ruby Red Granite that is extensively used for the construction and architectural purposes. These granites are aesthetically appealing and extremely durable. We deal all across the globe. 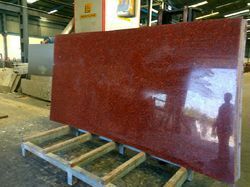 Having emerged as a major manufacturer engaged in offering Gem Red Granite, we offer these as per the customers’ preferences. Our offered marbles are widely popular and recommended amongst the clients for their beautiful appearance and a fine lustre. Processed by the skilled and creative designers, these products are available in various sizes and fascinating black color.